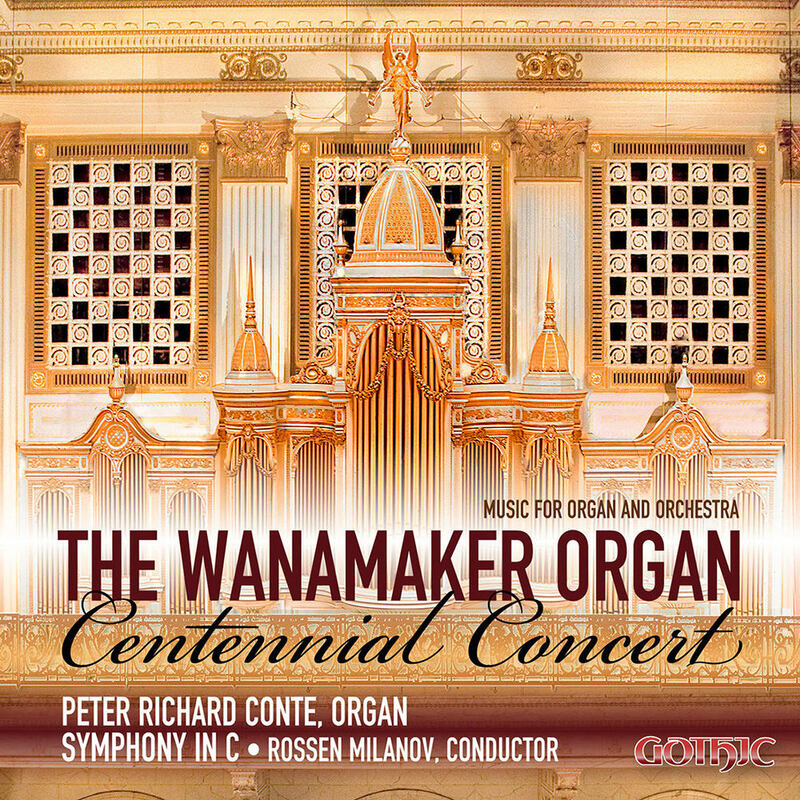 Recorded live at the concert marking the 100th anniversary of the Wanamaker organ, Peter Conte and the Symphony in C ensemble led by Rossen Milanov deliver large scale works for organ and orchestra on this album. Built by the Los Angeles Art Organ Company for the 1904 St. Louis World's Fair, the organ had more than 10,000 pipes and was so expensive to craft that the cost bankrupted the company. The organ, now at Macy's department store, has been thrilling Philadelphia shoppers and visitors every business day since 1911.